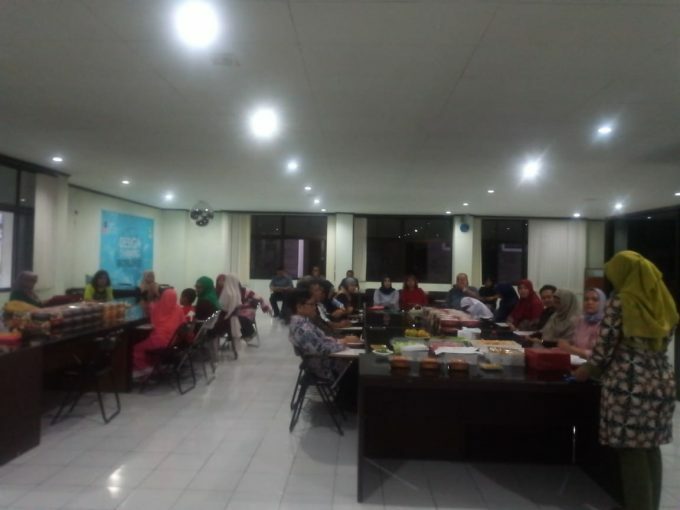 In celebration of Ramadhan month, MD Doctoral Student Union or commonly known as Ikatan Mahasiswa dan Alumni Program Doktor FEB UGM (IMADEBGAMA) held Iftar gathering at study room, 1st floor MD FEB UGM Building. Iftar is the evening meal with which Muslims end their daily Ramadan fast at sunset. The gathering was attended by approximately 50 people with various religion background. The gathering was also attended by Prof. Jogiyanto Hartono M., Ph.D., Nurul Indarti, Ph.D., dan Prof. Catur Sugiyanto, Ph.D., dan Rr. Tur Nastiti, Ph.D., the four are the directors and manager of the MD FEB UGM. The gathering started at 5.00 PM and was opened by the speech of IMADEBGAMA Chief, Asih Murwiati. Asih emphasized that IMADEGAMA hope that the gathering can become a mean to build friendship, network, and kindship among MD Doctoral students. Prof. Jogiyanto who delivered the second speech in the event appreciated IMADEGAMA effort to hold the gathering. “I hope that such event can become a regular event in Ramadhan, as the event promote kindship and inclusiveness in MD FEB UGM,” Said Jogiyanto. The gathering itself was designed by the IMADEGAMA as a potluck where everyone contributes foods to be shared. The potluck is the symbol of the main theme of the gathering “Kinship and Sharing”. As a way to liven up the gathering, IMADEGAMA also provides lottery drawing game in which one lucky participant get a book entitled “Strategi Penelitian Bisnis”. The book was the second book published by MD FEB UGM.